We were the happy recipients of a ‘slime kit’ this Christmas. Combining a sodium alginate solution with calcium chloride solution we produced calcium alginate, which is a cross linked polymer. 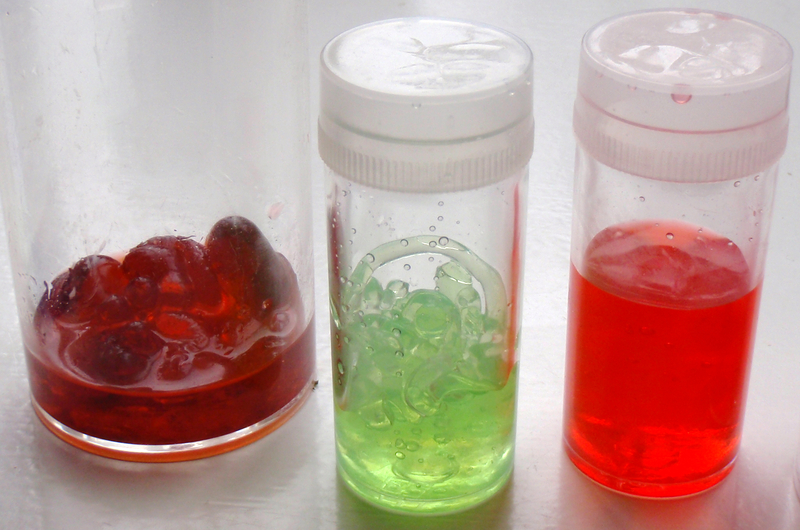 The sodium alginate powder was dissolved in water to form a fairly runny slime solution. When this was added to calcium chloride it became rather more firm – a gel. The food coloring just makes the result more colorful. Sodium alginate has the empirical formula of NaC6H7O6. This formula describes the units of which the molecule is made, but the molecule itself is a long chain of these units. The reason the alginate changes consistency is that the sodium ions in the sodium alginate are replaced by calcium ions. The sodium ions have a charge of +1. The calcium ions have a charge of +2. The alginate molecules are long and have lots of sites that are able to bond with ions that have a positive charge. So the calcium ions take the place of the sodium ions but are also able to form cross links between the long alginate molecules. There is a nice diagram here. 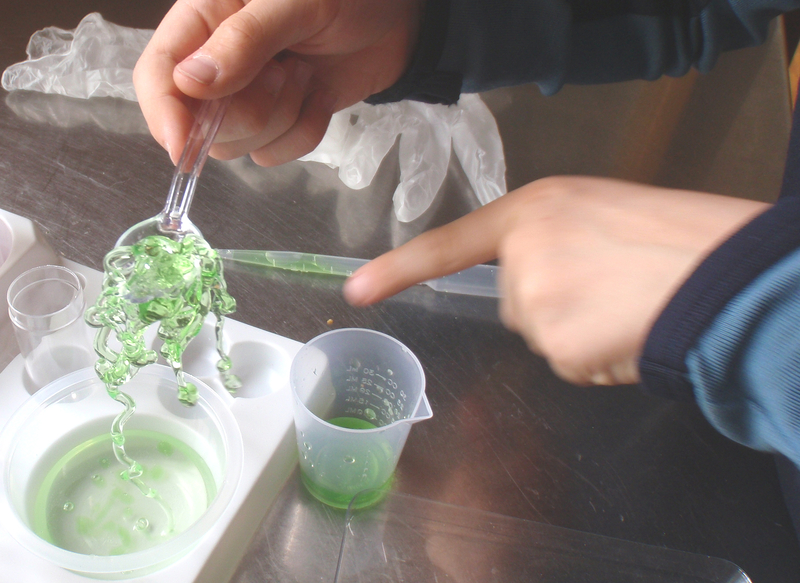 The sodium alginate comes from seaweed. There is more about that process here.